(Photo: Gabriella Murdock Damiano)Associate professor Jennifer Murdock has been awarded the highest honour for teaching bestowed by the University of Toronto, the President’s Teaching Award (PTA), which recognizes faculty who have demonstrated a substantial commitment to teaching innovation and excellence. 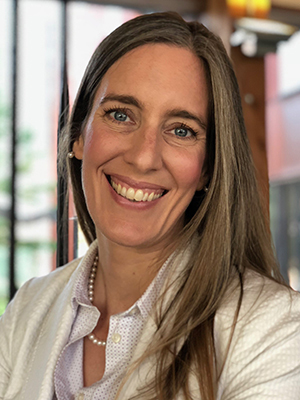 As a recipient, Murdock is designated by U of T as a member of the Teaching Academy for a five-year period, and will then be eligible for re-nomination. She receives an open grant of $10,000 for each of the five years of the appointment, to support her research and teaching activities. Members of the Teaching Academy advise the Vice-President & Provost and the Director of the Centre for Teaching Support & Innovation (CTSI), assist in teaching assessment when required, and are advocates for excellence in teaching at the University and beyond. Academy members may be requested to deliver one public lecture each year on a subject of their choice, or to give a convocation address or speak at other events. Professor Murdock earned her PhD in Economics from Yale in 2002 and joined the department as a teaching-stream faculty member in 2004. She has previously been awarded the Faculty of Arts & Science Outstanding Teaching Award (2014), the Dean’s Excellence Award (2010, 2013, 2014, 2015, 2016 and 2017) and the Dean’s Small Group Award (2007, 2008, 2010, 2013, 2015, 2016 and 2017). She teaches and coordinates ECO 220, the multiple-section, large-enrolment, and program-required undergraduate quantitative methods course and an elective, ECO 410, that draws heavily on her competition policy experience. At the graduate level, Murdock mentors and trains 10-12 graduate student teaching assistants each year. Her teaching philosophy centres on maximizing learning by explicitly incentivizing students’ sustained best efforts and directing those efforts towards authentic applications that she pairs with original course materials to support learning. She led the reimagining and restructuring of teaching stream recruiting in economics, building the collegial and rigorous search framework upon which the department now relies, regularly engages in professional development and disseminates her teaching expertise via presentations, workshops, reports, and one-on-one mentoring. Murdock was also integral to the departmental effort that resulted in the establishment of the Economics Study Centre, where academically successful third and fourth year students mentor first and second year students who are having difficulties with our courses. Drawing on her own experience working as a peer mentor when she was an undergraduate, she was an important element in the conceptualization and implementation of our study centre, working in close collaboration with the chair at the time (Arthur Hosios), faculty members and administrative staff. Very much instrumental in implementing more intensive writing assignments into our economics courses, Murdock has worked to build writing into her courses through a range of assignments. The increased attention to writing across the economics curriculum has been critical: as Murdock notes, “Economists write and write often”. Many congratulations to Professor Murdock on this much-deserved accolade!